DO YOU NEED HELP - figuring out what Synergy Blend or Massage oil will work for your ailment, condition or disease? Everyone needs help now and then finding products or essential oils that may help them for a health ailment. There are several different essential oils or synergy blends, any of which might be a useful fit for your situation, ailment or condition. As you know companies may not put medical ailments, conditions or diseases listed next to a product as a possible use. This is WHY this Personal Consultation is so VALUABLE! Personal Consultations are PRIVATE between an aromatherapist and YOU. It is during this private consult where we can make specific suggestions for you. We can provide you with a list of products you can try. When we do a Personal Consultation, we can make suggestions as to what essential oil or synergy blend you can implement in YOUR own health care regimen. With this Personal Consult, you will get a list of suggested blends or single oils you can try for the ailment or condition suggested just for you. The Full report will be sent to you via mail is well over 40 pages long. 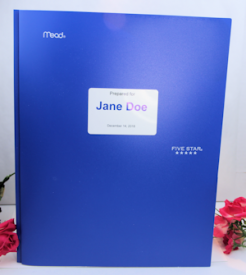 It is printed on white paper stock and bound in a long lasting plastic folder. You'll want to keep it handy for your current health needs and those that might occur later on. Better yet though, you will get a full list of ALL our Synergy blends and 'Made Fresh for you Massage Blend' with their possible uses. When you purchase your Personal Consultation, you will get a list of suggestion for dozens of ailments indicating the Synergy blends or Massage blends that might fit your needs in the FUTURE. 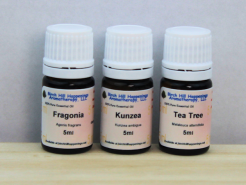 You will not need to purchase another Personal Consultation again as you'll know what synergy blends or massage oils we offer that can be used for future situations, ailments and more. The Value of this Personal Consultation - is well - INVALUABLE. In this day and age, everyone wants to do their best at helping themselves. Sometimes a little more help is needed and this will help you for years to come! CLICK ON THE PRODUCT LINK BELOW to fill out the Questionnaire, Add to the Cart and continue to checkout. Give us a few days. Please provide a working DAYTIME Phone number and an active email address. If you are on prescription medications, we need to know that too. We may not need to contact you at all, but if we have questions not answered on the questionnaire, we may need to contact you. Please give 3-5 extra business days for your Personal Consult to be shipped to you by mail. We will not send them by e-mail. Please know that Aromatherapy and the use of essential oils cannot help every condition. Some are considered serious health ailments that should only be addressed by a licensed medical practitioner (doctor). Even though the ailment or condition itself may not be directly affected often time’s essential oils can help with other symptoms that are consequences of the original disease. i.e. Essential oils cannot cure cancer, but the anxiety, insomnia; etc that comes with such a diagnosis may be able to be helped with their use. The information provided is for informational and educational purposes only. You should not use this information to replace medical advice given by a licensed medical practitioner. Anyone considering alternative therapies should remember to consult with their licensed medical professional before using any alternative or complementary method. We do not give nor is any opinion on our web site medical advice, they are merely suggested uses.